Two proposals that would force school district regionalization have ignited a storm of protest in some communities, as well as debate at the State Capitol. 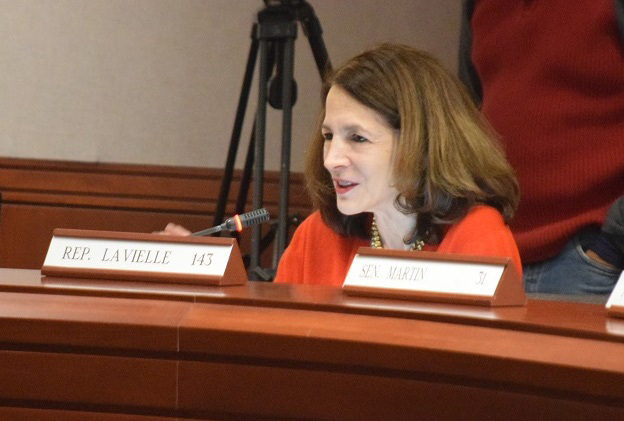 At a packed Education Committee meeting Monday, Rep. Gail Lavielle, R-143, said the “distress” she has heard from constituents about possible forced regionalization “has been so great, I’ve never quite seen anything like it.” Lavielle represents Wilton and part of Norwalk and Westport. Rep. Michelle Cook, D-Torrington, countered, saying that if “regionalism is what we have to do to make education in the state of Connecticut work, then we need to figure out how to make that work. The Education Committee was supposed to be considering a “concept” proposal that would allow schools districts to voluntarily consider ways to regionalize services. But the conversation at Monday’s meeting instead centered on two bills not formally under consideration. The first, proposed by Sen. President Martin Looney — Senate Bill No. 454 — would force municipalities with populations fewer than 40,000 to consolidate with another district. The bill calls for the creation of a commission that would be responsible for developing a plan to carry out the regional consolidation of those districts. Senate President Pro Tem Martin Looney (Ryan Caron King / WNPR). Looney said he’s not talking about consolidating schools, but rather consolidating administrative functions so that “economies of scale” can be reached and overhead reduced. He said there are about 25 municipalities with populations greater than 40,000. The second proposal — Senate Bill No. 457 — would require any district with a student population of fewer than 2,000 students to join a new or existing regional school district so that the total student population of the expanded district is more than 2,000. It was proposed by Sen. Majority Leader Bob Duff, D-Norwalk, and Sen. Cathy Osten, D-Sprague. The forced regionalization proposals drew quick criticism, however, from newly-elected Democrats from the state’s wealthier communities. 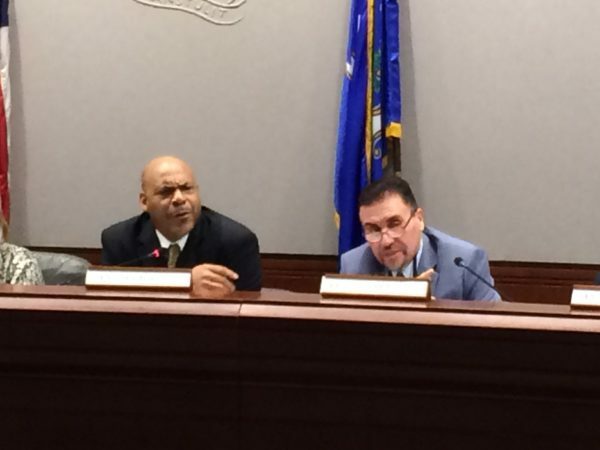 Sen. Will Haskell, D-Westport, Sen. Alex Bergstein, D-Greenwich, and Rep. Lucy Dathan, D-New Canaan, wrote an open letter stating their opposition to Looney’s plan to regionalize education. Dathan’s district includes New Canaan and part of Norwalk; she bested former Rep. Fred Wilms in November’s election. 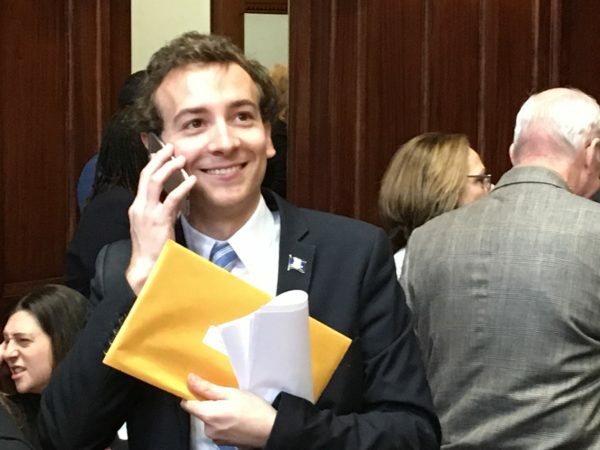 He said the state can incentivize regionalization without forcing it upon towns, noting that he has received hundreds of emails and phone calls opposing forced regionalization. “I think creating mammoth school districts is not the best route,” he said. Betsy Gara, executive director of the Connecticut Council of Small Towns, said she also has been hearing from many community leaders who are concerned about any effort to force consolidation of school districts. Rep. Susan Johnson, a Democrat from Windham and a member of the Education Committee, said she favors regionalization efforts for her district, where there is a high concentration of Hispanic children. 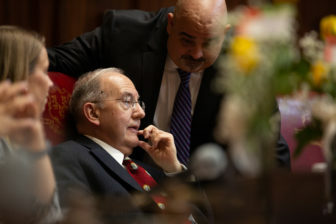 Rep. Bobby Sanchez, co-chairman of the Education Committee and a Democrat from New Britain, said he needs to talk to Looney about the bill and study it further before taking a position. “I’m going to leave everything on the table at this point because I’m a true believer in discussion,” Sanchez said. This is nothing more than creative wealth redistribution/socialism to bail out the large welfare cities in the state. Financially responsible cities should not be blamed for the destructive state policies that has made everyone of CT’s largest cities a basket case. Who do these left wing political hacks think they’re fooling? @Eleanor Texas has a county system that amounts to a similar regionalization. They must be left wing political hacks too? One would think that every surrounding town would want to take advantage of being involved with Norwalk’s “cutting edge” schools. Maybe not so much, huh? In the name of diversity, social justice and education equality and all other liberalisms, why aren’t all the wealthy elite libs from their affluent towns supporting this? Hypocrisy to say the least. Are there any bills out there aimed at making state government itself more efficient? Or is the focus on squeezing well run towns into the same financial ruin the state finds itself in? The FCC governs the broadcast spectrum, but I see Mr. Duff thinks Connecticut can do a better job and has proposed all sorts of new fees and fines and regulations to make sure we have the most expensive cable bills in the country. He wants PURA (Public Utilities Reguation Authority) to oversee this. They are a panel that consists of high six figured salaried former legislators with zero utility industry experience. Their actions have resulted in Connecticut having the highest utility bills in the continent. That’s just one example. I fear there are more in this goody bag of proposed bills, of which none seem geared towards incentivizing businesses to stay or locate here. A chain is only as strong as its weakest link. We need to ensure equal education opportunity for ALL our kids. Easier said than done for sure, but for starters, those commenters who hurl meaningless epithets could stand some education as well. I find Liberal Dems from suburban towns amusing. They’d like diversity, just not in their neighborhood. Any other excuse beside fear of integration is just a façade. Let’s make this happen. Cutting off state funding and giving their ECS $ to the more diverse cities should be the cost for towns that opt to stay racially/socio-economically isolated. Hard votes for those those state reps whose districts include both types of communities.